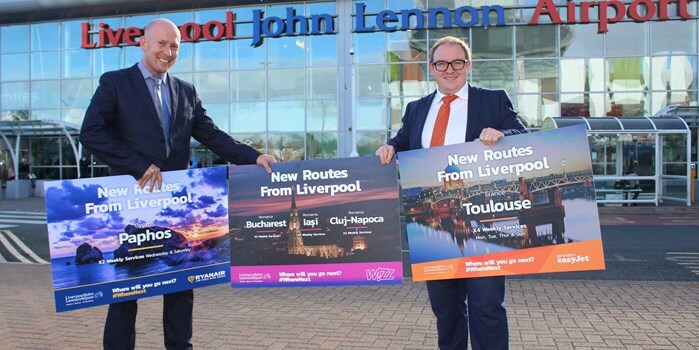 LIVERPOOL, UK, 2018-Nov-07 — /Travel PR News/ — This week (29th October 2018) has seen the start of the Winter season at Liverpool John Lennon Airport (LJLA) and with it came five new route launches to destinations in Cyprus, France and Romania. This entry was posted in Airlines, Airports, Flights, Travel, Travel Services, Travelers and tagged Cyprus, FRANCE, Liverpool John Lennon Airport, Paul Winfield, Romania, Ryanair, Winter, Wizz Air. Bookmark the permalink.